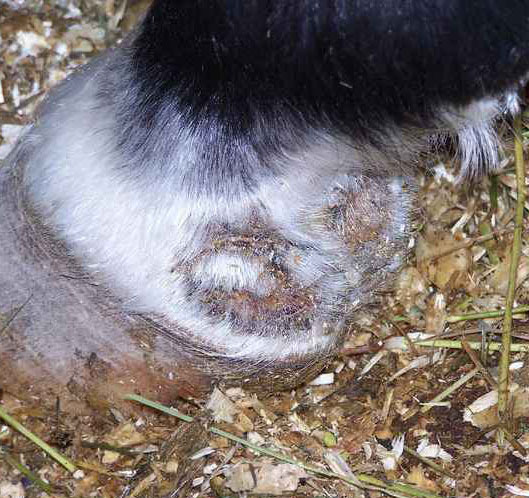 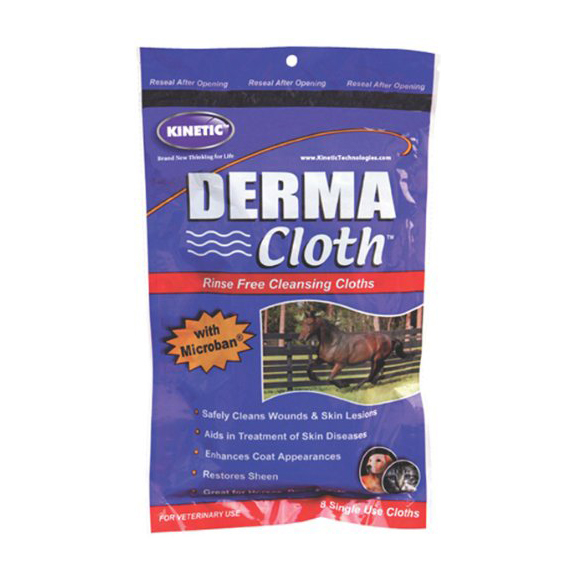 Pastern dermatitis is a collective term for an intractable, painful, exudative dermatitis affecting the back of the hose's pasterns. 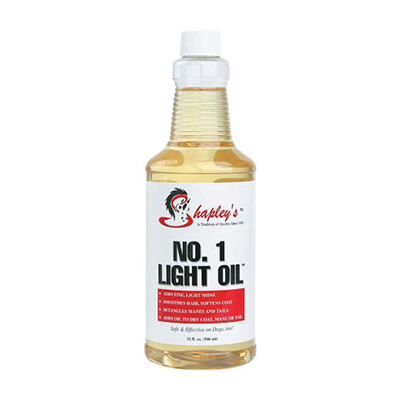 It is most frequently found on the non-pigmented (white-skinned) areas. 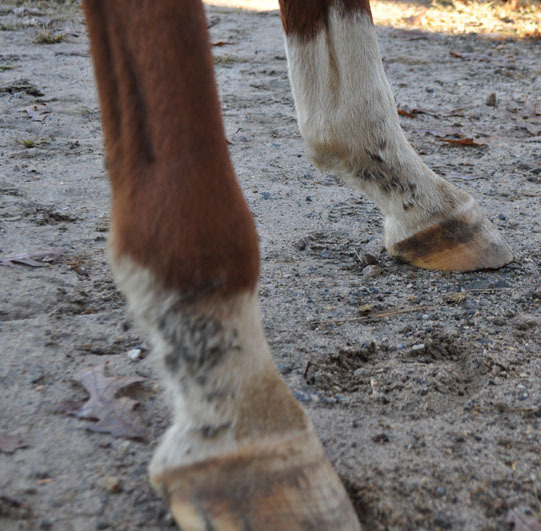 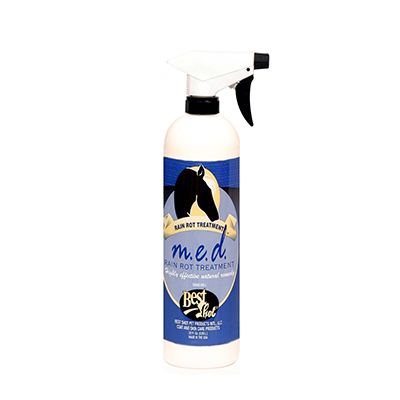 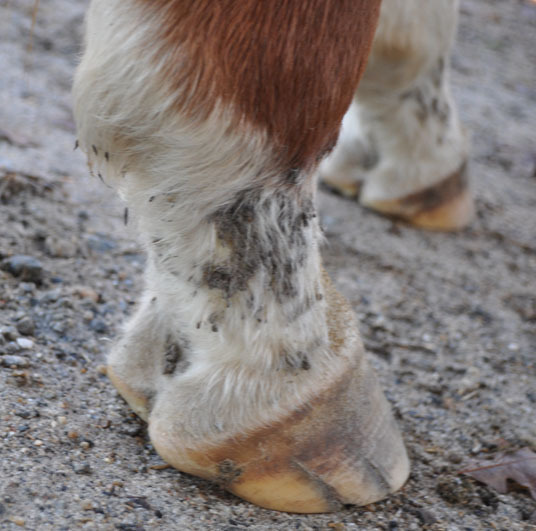 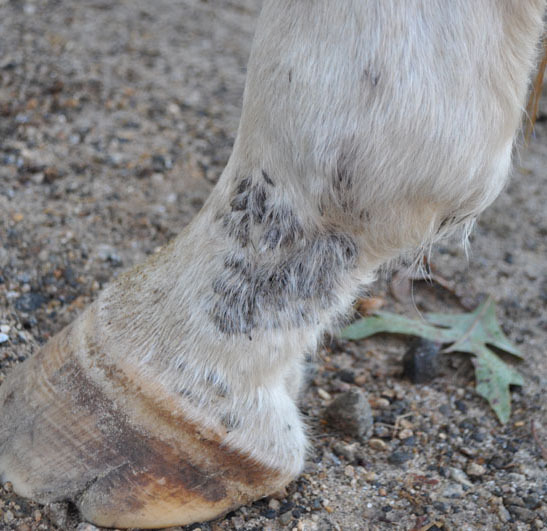 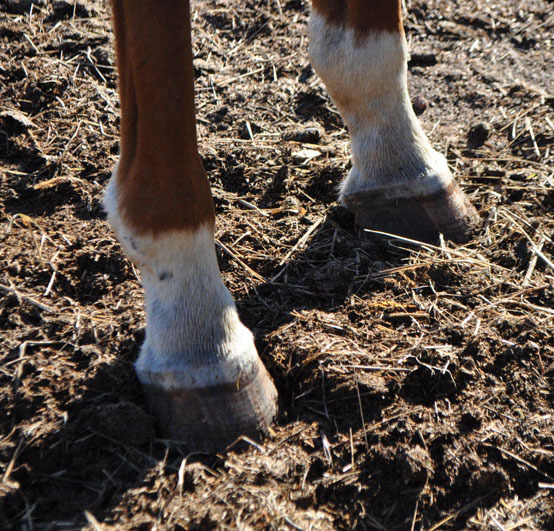 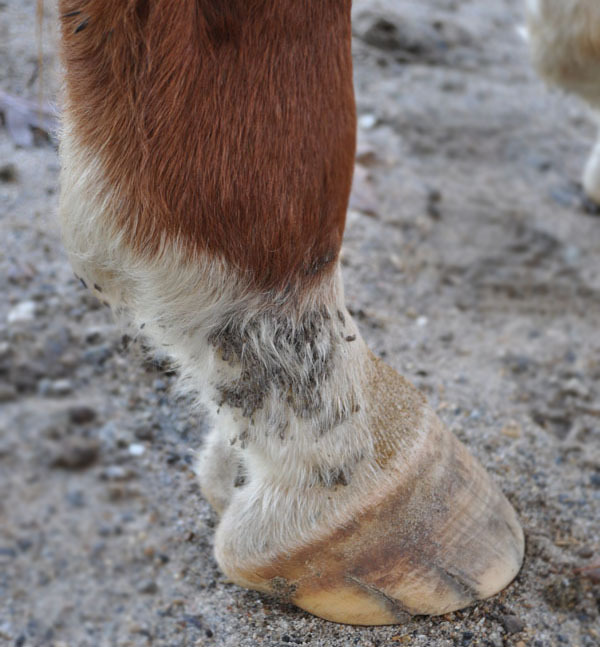 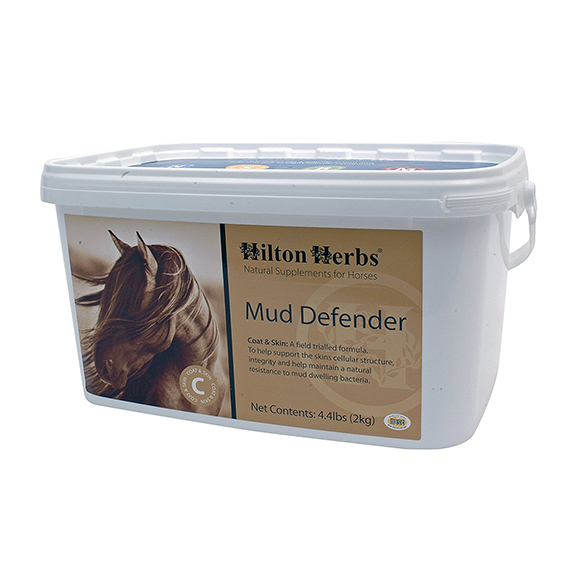 There are three different forms of pastern dermatitis with the mildest form the most common. 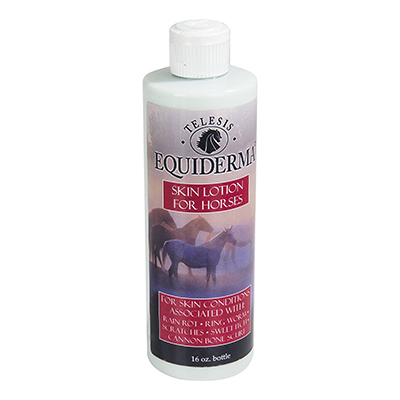 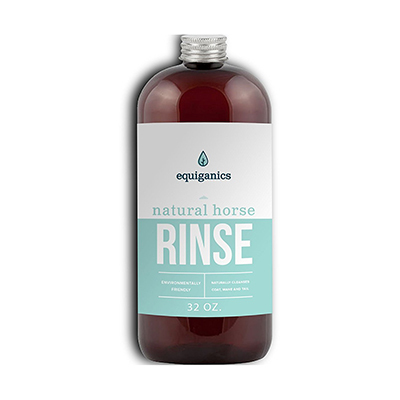 Scrub legs with antibacterial shampoo (active ingredients include benzoyl peroxide (3%), chlorhexidine (2%) and ethyl lactate), applied daily for 7 to 10 days, then 2 to 3 times weekly. 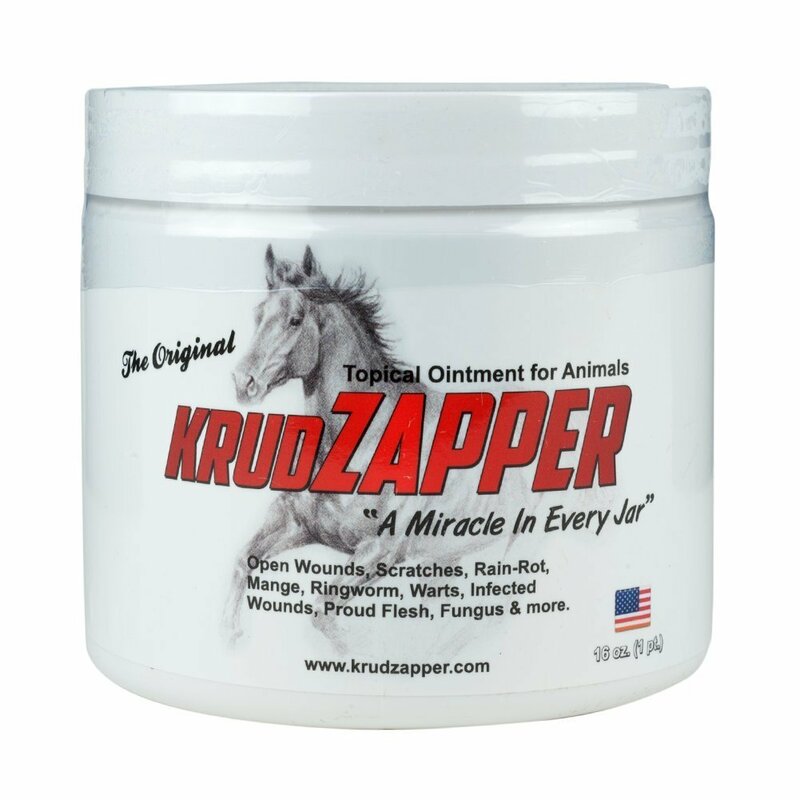 Apply a padded, water-repellant bandage changed every 1 to 2 days. 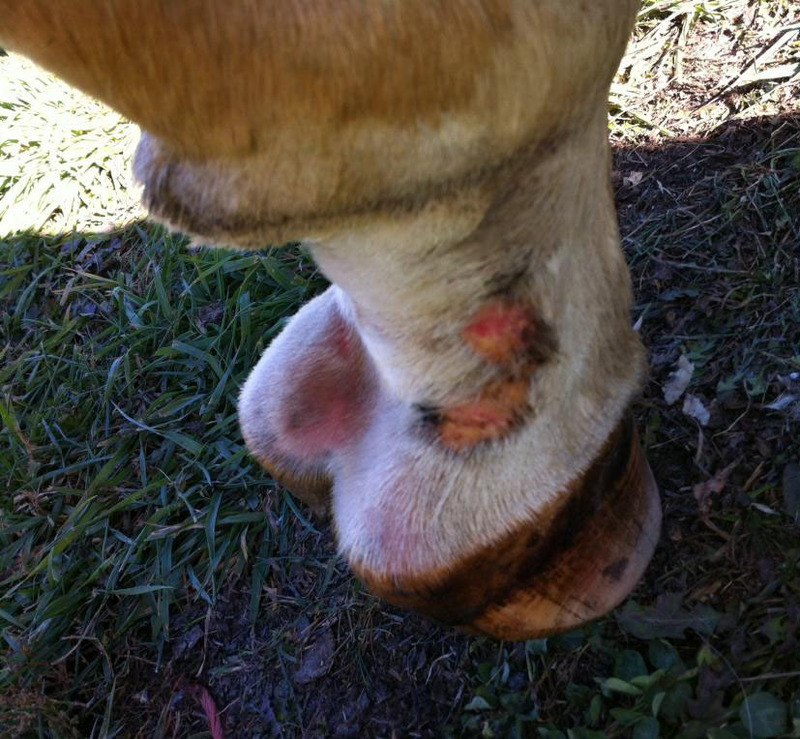 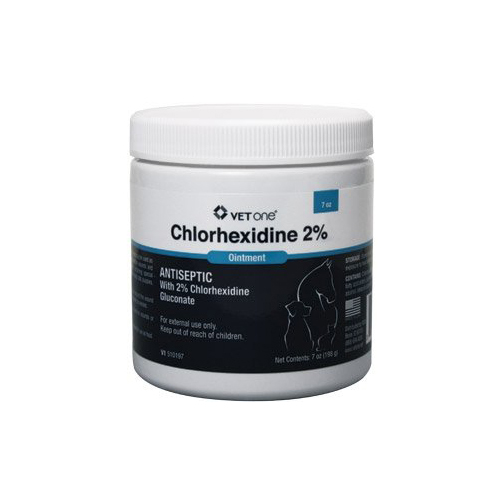 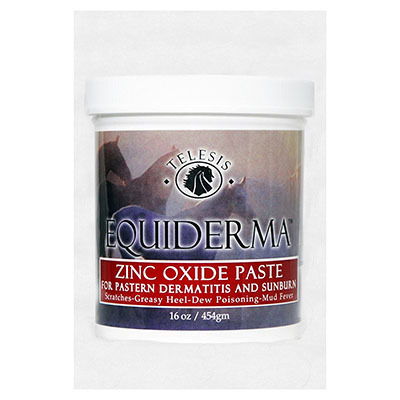 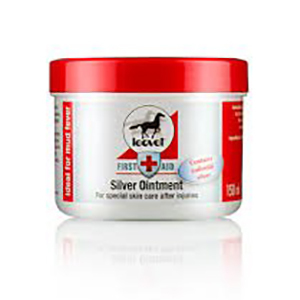 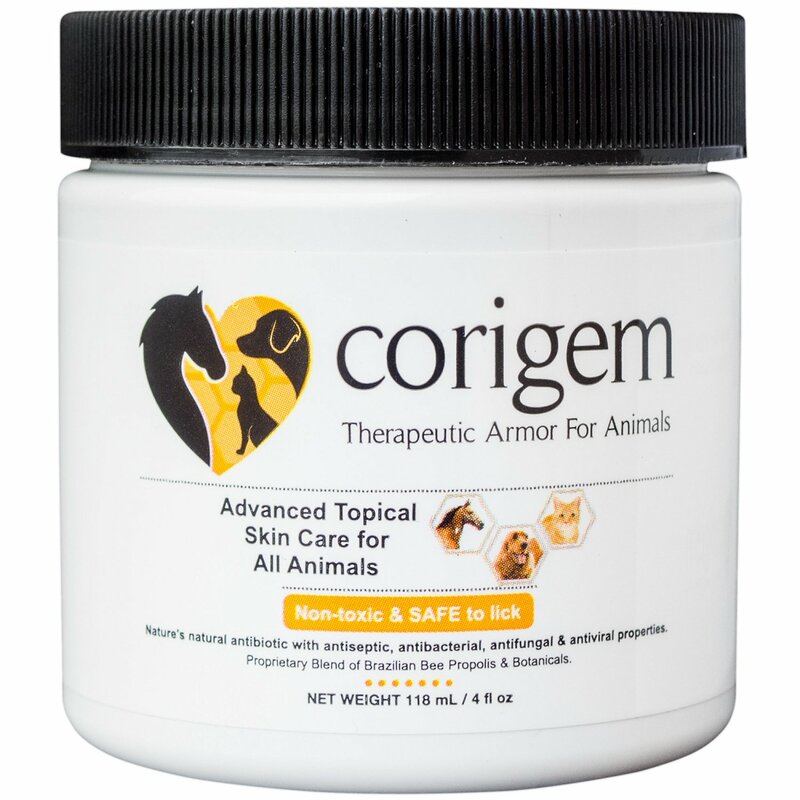 Cases of exudative lesions, astringent solutions such as lime sulfur (4 to 6 oz/gal) or aluminum acetate solution. 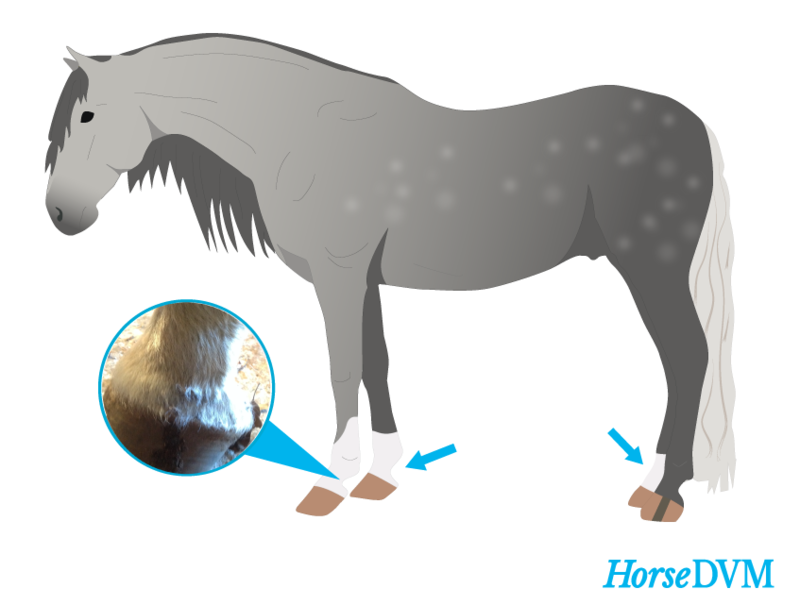 Turned out in pastures with long grass in the early mornings, when dew forms.